Click "Directions" on the map below to get driving and public transportation directions from your location. A parking pass is required to park on campus. Please print your parking pass in advance and display on the dashboard of your vehicle when parking on campus for this event. Limited street parking is also available at no cost, please be sure to read all posted signs. 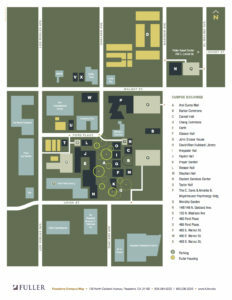 Click the map image to view a PDF of the campus map.